Where's My JetPack? always has some of the best cartoons on the web. He does them himself, too. 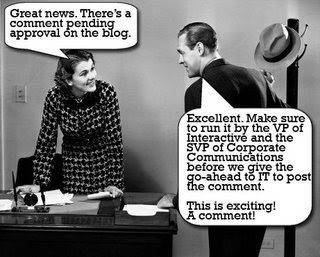 I particularly love this one he did about the potential pitfalls of clueless corporate blogging. 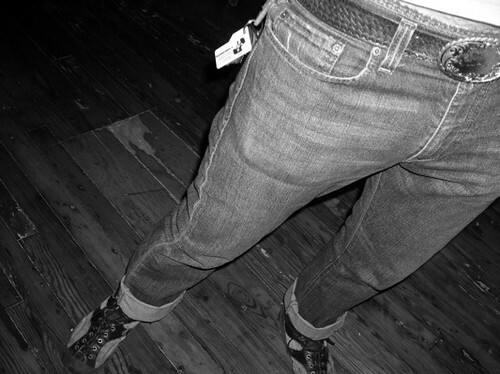 And for these retro ones I steal the images from Getty because their watermark is the easiest to Photoshop out. And you know how there is truth in all humor? I commented on a recent Friday to a corporate blog. 10 days later the comment finally appeared. I don't think that's what they meant by "The Age of Conversation." I agree, Toad. This might be my favorite cartoon-er graphic art yet. Thanks, Jetpack. Live long with the memories of Kathy Sierra. She used these extensively to get her point across. that's funny. coz it's true. i love all the internet blather about brand "conversations" and "transparency". it tends to conveniently ignore the fact that most corporations are run by venal morons and sociopaths who could give a rat's bottom about anyone.